Since 2003, Ann Fudge has been chairman and chief executive officer of Young & Rubicam Brands, a global network of marketing communication companies that includes Burson-Marsteller, Wunderman, Landor, Sudler and Hennessy, and Y&R. She also serves as chairman and CEO of Y&R. A graduate of Simmons College and Harvard Business School, Fudge is a veteran of the consumer products industry. She rose through the ranks at General Mills and General Foods, and became president of the $5 billion Beverages, Desserts, and Post Division of Kraft Foods, where she managed brands such as Maxwell House Coffee, Crystal Light, and Altoids. In accepting the Young & Rubicam Brands post, Fudge returned to the corporate world after a two-year absence. She also serves on the Board of Directors of General Electric and Catalyst. Fudge was interviewed by Randall Rothenberg, senior director of intellectual capital at Booz Allen Hamilton and editor of Strategy + Business. Randall Rothenberg: I'd like to start from the beginning. Where did you grow up? Ann Fudge: I grew up in Washington, DC. It was still a very segregated city, and there were times as a kid that I saw separate water fountains. So you're looking at somebody who's very much a product of living through the civil rights movement. RR: You went to Catholic schools. How did that environment shape you? AF: I went to an all-black parochial school, and then to a college prep school for girls, where I was one of 12 young black girls in a school of several hundred. So it was a very interesting educational experience on many levels. Being taught by nuns, combined with my own parents' focus on education, I really had a feeling of self-confidence despite all the challenges that faced people of color at that time. RR: What did your parents do? RR: In the late 60’s, early 70’s, business was not something that was held in high esteem. Did you know you wanted to work in corporate America? AF: When I went to college, my summer job experiences had been working in a department store, so I thought I would do something in retail. I worked as a buyer's assistant for about three months, and I knew that I never wanted to be a buyer. The night before Thanksgiving, I was working in the store and I was thinking, “I'm supposed to be with my family.” Internships are fantastic. Even if they let you know what you absolutely do not want to do. In November of my senior year in college, my professor, Margaret Hennig, recommended I apply to business school. And it was probably one of the furthest things from my mind at the time. I got married in college and had a child, and all I could think about was getting a job and working. And so I applied to one school – Harvard – and I was accepted, and took a two-year deferment. RR: You went to General Mills out of business school. AF: The offer that I got from General Mills was the lowest offer I had, from a salary standpoint. But I was a married mom with two children, and so I thought both of what was going to be a good career and also manageable from a family perspective. My husband and I moved to the Midwest – neither of us had ever lived there. But Minneapolis is one of the best-kept secrets in America. I never thought I would leave. I moved back to the East Coast and came to work for General Foods much later because my mother got ill.
RR: What can a General Mills teach a young MBA that a Goldman Sachs can't? AF: At a consumer products company, you have to understand business from the inside out: buying your wheat at a good price, packaging, ingredients, working with the FDA. If you're in a financial institution, you're working a lot with numbers. RR: Having a couple of little kids when starting a career just can't be easy. How did you manage it? AF: When you're young, you can do anything that you set your mind to. A big part of it is having a great partner. At the time, my husband worked at 3M, and he was on the other side of town. We had split responsibilities. Nannies were nonexistent, at least for us back then. And the one thing you prayed is that if your kid got sick, they'd get sick on the weekend. RR: So in 2001, you famously took time off to find yourself. AF: I wasn't lost. I moved back to the East Coast because my mom was diagnosed with a terminal illness. Then my father got sick. And it takes a toll. When my mom passed away, a secretary who had worked for me for a very long time said, "I know you're going to leave." And I just hadn't thought about it. But it took me two years from the time when I knew I needed to have a break to actually doing it. And then when I took the time off, it was less about finding myself and more about being able to express myself in ways you don't when you're working 24/7. I literally made a list of all the people that I wanted to see, the countries I hadn't been to, and the books I wanted to read. RR: Are you finding that it is a lot easier to be the CEO of a traditional company than a professional services company? AF: I find it's something that is challenging me as an individual. There's something else going on, too, that's particular to the kind of service we're in. In the past, we've created advertising messages that people watched and they decided they were going to buy that product. Today, this generation wants to be involved in the creation of a message. So you're no longer passive receivers of media. We use this phrase, "Above and beyond advertising," which is why I keep coming back and talking about marketing communications because it's no longer just about a TV spot. RR: Some people are just wedded to the 30-second spot. So it would seem that a real challenge for you as a leader is not just to persuade clients to think differently, but to persuade your own people to think differently. AF: Fortunately we have an incredible mix of young people in the organization who live and consume media very differently. They're helping us to think differently internally. And I've seeded a lot of them on different teams. I have a CEO breakfast once or twice a month, and I get young people from all the different companies in together so they can meet and have somebody else to talk to in another business. RR: There seemed to be a period where ad agencies decided they were going to be entertainment companies. And now research seems to be playing a greater role. Can you talk about that? AF: The differentiation for Young & Rubicam's brand is that we have a very strong asset called the Brand Asset® Valuator. It looks at four pillars: differentiation, relevance, esteem, and knowledge. It's a database of thousands of brands with four quadrants. The lower left-hand quadrant is when you're starting out, and where you want to be is in that upper right-hand quadrant, where the differentiation is strong and the knowledge is strong and the balance is just right. Our clients want to understand how all this works in a world where they have to focus on their return on investment. Q: Who are your role models and mentors, and could you describe your leadership style? AF: I'm not sure I had that many role models. When I was growing up, there weren't a lot of people that looked like me that I could look to and say, “I want to be like that.” But I had a whole range of mentors. Mentors don't have to be people who are senior to you. You could have a very wise person who happens to be an assistant or a secretary in an organization who knows the ins and outs and can guide you. As for my leadership characteristics, I would like to think that I work at creating an environment where people know what to contribute and ideally create opportunities for people to collaborate. I try to be as inclusive as possible and to hear a lot of different viewpoints and then make a decision and move forward. Things are changing massively. You cannot afford to just keep analyzing the situation without taking action. And so I like to think that I'm decisive as well. Q: At a large integrated company, do you think that most effective CEOs are ones with technical expertise of the industry or ones with more general worldly knowledge? AF: I think it depends on the kind of business that you're in. The most important thing the CEOs need to know is what they don't know. You just can't walk in tomorrow and decide that you're going to be a managing director in a financial institution after doing marketing your whole career. Q: I'm a first year MBA student. I have a child, and I just started this program a few weeks ago. What is your advice on juggling everything? AF: I think you have to understand that you work to live, you don't live to work. That includes your family and all those other things. I'll never forget my mom saying once, before I went to college, “Whatever you choose to do, always put your family first. Because you can work at some place for 30 years, and when you die, they'll sum up your career in two lines. But your family is going to love you.” And that just hit it all home again. Work hard. Trust me, I'm not trying to say don't work hard. But if you can, keep it in context. became president and chief operating officer of the media conglomerate, whose properties include CBS Television, MTV Networks, and Paramount Pictures. 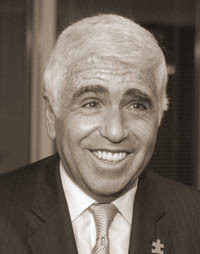 Karmazin was inducted into the Broadcasting Hall of Fame in 2003. Mel Karmazin was interviewed by Tom Lowry, a senior writer for BusinessWeek, who covers media and entertainment. Tom Lowry: Sirius has committed $500 million over five years to bring over Howard Stern. How do you rationalize that investment in a single individual? Mel Karmazin: I've worked with Howard for 20 years. I first hired him. There aren't many talents that can move an audience, and I think Howard is one of them. The average customer is paying about $117 a year. So if we get a million subscribers thanks to Howard, there's over $100 million a year we'll have. Since the announcement, the awareness level of Sirius dramatically improved to the point where more people can name Sirius than [competitor] XM. Our market share has continually grown every single month. Our stock has more than doubled since we announced the deal, so the investor community believes it must be a smart decision. TL: You don't have an MBA. Give me some sense of your business training and how that shaped you as a manager today? MK: I was born not far from here, on 11th Street between Avenue B and Avenue C, and I've lived in New York my whole life. I had no plans of going to college. I was taking a typing course, and the teacher, Mrs. Parker, asked me if I wanted a part-time job after school. I had a part-time job after school in a factory. And she said this was in an air-conditioned office and that sounded really good. So I took the job. It paid $1.25 an hour, which was the minimum wage. And it turned out to be an advertising agency. The head of the agency and his sister – neither of whom had kids – took me under their wing. And they convinced me to go to college while I was working full-time at the agency. I stayed at that agency and became a partner. And when it was sold I went to work at CBS. TL: You've got more than 125 channels, charge a subscription fee, music is commercial-free, and other programming isn't. How do you end up turning a profit? MK: Our revenues this year  are estimated to be about $230 million. That's up from $67 million last year. That number is over $500 million in 2006. We've paid the money for the satellites. We've already paid for the programming. So as we get the revenue from new subscribers, roughly 70 percent of that falls to the bottom line, to the point where we've said we think we will become free-cash flow-positive in the fourth quarter of 2006. So it's all about getting subscribers. And we get them in two ways. One is they buy a Mercedes, a BMW, a Ford, or a Daimler Chrysler, and we factory-install satellite radio there. Or you go to Best Buy or Circuit City and say you want to have it. TL: If I'm an investor in Sirius, what kind of benchmarks should I be looking for? MK: Probably the single most important number at this stage in the company's growth is how you are growing subscribers. You want to take a look at ARPU, the Average Revenue Per User. And you want to take a look at the churn because you want to find out whether or not the subscribers are canceling their service. You'd also look to see whether a company is using its stock to make some acquisitions or to come back into the market to raise money. I said when I first started that our stock was like gold and that I would not be using our stock. TL: Apple is in discussions now with car makers to have the iPod put in as an option in models. How is that not a threat to Sirius? MK: I think everything is a threat. I've been involved in the radio business for an awfully long time. I remember thinking when they first put a CB radio in the car: “Oh, my God, no one is going to be listening to the radio.” And I remember when they put eight tracks and then CD players in the car. I think the radio experience, including discovery, is a different experience than listening to your own music. TL: It seems like Sirius has an announcement every other day for new channels. Do you guys ever say no? And what is the sort of filter for what will be a program and what won't? TL: Your former company, Viacom, is about to split the entertainment units and media units. Is that a good decision? MK: I don't get it. I don't think that the decision is being made for any strategic reason. It's being made to influence Wall Street. At a time when companies are consolidating, mergers are happening everywhere, advertising agencies are merging, Proctor & Gamble and Gillette are combining. Wal-Mart is becoming stronger than ever before. Why do you want to be weaker in negotiating against these companies? And why do you want more cost? TL: What do you worry most about at this point in your career? MK: The area that I concern myself about is making sure that whatever we say we're going to do, we're delivering. And that our integrity is there. When you're in an organization, you've got a lot of people and all you need is one stupid person to do something. Q: Inevitably you're going to have advertisers asking to be part of your exclusive content. How do you balance the attraction of those revenue streams with the desire to keep that content free of advertising? Q: In its heyday, terrestrial radio was the engine that drove the record business. I'm wondering if you have any plans at all to work closely with the record labels so that people could hear a song on Sirius and then download it? MK: In the last two weeks I have met with the CEOs of three of the four major record companies because I do think there are things that we can do. They love us because we are playing their music on our 67 channels. There is no country music station in New York, but we have six country music stations. There is no question that they would like us to make it possible for their music to be sold or downloaded. And we're open to that. Q: What was the biggest challenge you faced while you were at Viacom? 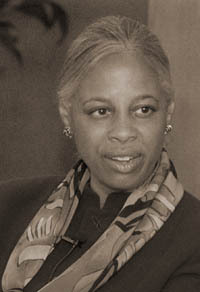 Since December 2004, Janet Robinson has served as president and chief executive officer of The New York Times Company, whose holdings include The New York Times, The International Herald Tribune, The Boston Globe, and more than 15 other daily newspapers, television, and radio stations, a portion of the Boston Red Sox, and several websites, including About.com. In more than 20 years at The New York Times Company, Robinson, a graduate of Salve Regina College who taught in public schools for several years, has held a series of positions in the company's magazine and newspaper divisions. She was interviewed by Jacques Steinberg, a staff reporter at The New York Times, and the author of The Gatekeepers. Jacques is currently covering television. Jacques Steinberg: Can you start by talking about why you wanted to become a teacher and why you decided to switch careers? Janet Robinson: I always felt that teaching was a calling that had great power. You have great impact on people's lives when you are a great teacher. But after teaching for 12 years, I felt it was very important for me to listen to an inner voice that was saying that perhaps it was time to do something different. I had always been very interested in publishing and media, and so I started interviewing at magazine companies and newspaper companies. JS: What sort of reception did you get? I mean, you had no real business experience. JR: You learn to live with rejection. And in fact, you make rejection your friend, which is a bit of advice that I would give to everyone. I interviewed for almost a year and a half before I got the first position, which was at Tennis magazine. And there were some translatable skills from teaching. You polish your presentation skills, each and every day. You have to motivate children of all ages, which transfers very nicely to becoming an executive with any company. And you are also managing performance and expectations. When I finally secured a position, it was after a very long interview in which I turned the tables, where I started interviewing the interviewer. JS: What did that first job entail? JR: They gave me all the accounts that no one else wanted. They gave me the New England territory knowing that I was from New England. So I traveled in my rented car from Vermont to New Hampshire to Boston to Rhode Island to all of the shoe companies and broke a lot of new business. But it took a lot of hard work. JS: Can you walk us through some of the milestones that followed in terms of your moving up the ladder? JR: I became the national resort and travel manager for both Golf Digest and Tennis. Then I became the advertising director of Tennis. They asked me then to be the corporate sales and marketing director for our women's division, which included Family Circle, McCall's, and Child, which I did for about three years. In 1993, I became advertising director of The New York Times Sunday Magazine, and about a year later became advertising director and the senior vice president of all advertising for the newspaper. In 1996, I was promoted to president and general manager, and remained there until 2000 when my responsibilities expanded to include The Boston Globe and the 15 regional newspapers we own. In 2003, I became chief operating officer of the company. JS: Are there parts of the operation that you were less familiar with when your responsibilities expanded? JR: Production. I had no idea what a printing press looked like in 1993, when I took over the advertising department of The Times. It was then critical to learn how printing presses worked, and how important it is to sell positions of ads effectively. I also had to become educated with regard to labor unions because we are a union shop. JS: The Times Company recently bought a 49 percent interest in Metro, a free daily paper in Boston. What was the rationale behind that? JR: Metro International is a Scandinavian company that brings free newspapers to the US. Boston is a young community, a very strong college community, and we really wanted to reach that younger readership. And of course, on the Internet, we're seeing free journalism as a model. So we're providing Metro's readers with some content from The Globe that really acquaints that readership with what The Globe may have to offer as well. JS: Earlier this year, The New York Times Company bought the Internet company About.com. Can you explain that to us? JR: We're thrilled with About. It is a very content-rich website with 24 channels and many, many more micro-sites. With NYTimes.com, Boston.com and About.com, The New York Times Company is now the 12th largest parent company on the Internet. And the ad network that we can sell around that is really very substantial. We also acquired About because the company has a great skill in search engine optimization that we wanted to have in-house. JS: Help us understand why The New York Times Company wanted to be a part owner of the Boston Red Sox. JR: It's very important for us to be the one-stop-shopping mecca for advertisers in Boston. We have regional newspapers in that area, we have Boston.com, and we felt that it was very important for us to invest in New England Sports Ventures, which owns a piece of the Red Sox, as well as the NESN television network, which owns the rights to broadcast the Red Sox games and the Bruins games. NESN has original programming as well. When you have writers like Dan Shaughnessy, for example, at The Boston Globe, you want to make sure that their talents are leveraged over a variety of platforms. JS: This is not the easiest time to sit in The Times newsroom. We're in the midst now of our second round of job cuts this year. Can you talk about the behind-the-scenes calculations? JR: You always have to look at the two lines: your expense line and your revenue line. And when your revenue line is going through either secular or cyclical changes, you have to make sure you're monitoring your expenses. At The Times, our greatest commitment is to quality journalism. So when we have made cuts, we have made them overwhelmingly on the business side of the operations. We're going through a very disciplined approach to productivity and efficiency within the business side of the organization. I hope we never get used to making announcements of buyouts and layoffs because it's not an easy thing to do. JS: I hear constantly that the place where I go to work is endangered. Do you take a different view? JR: Everyone in the media business has heard this day upon day, year upon year. When the telegraph came out years ago, the newspapers were going away. Consumers are consuming news differently. But they don't necessarily choose just one medium. I think we need to realize that we are not just a newspaper company; we are a news company that will leverage the content across platforms. We constantly re-invent ourselves. We are on the radio now with XM, for example. Q: What qualities helped you move up the corporate ladder? JR: I think it's extremely important to love what you do. I think that I have a lot of personal drive. If people come to work unhappy, and they're not passionate about what they do, they don't really exude enthusiasm. I walk through the revolving doors of the Times Company everyday and I'm thrilled with what the next hours will bring. And I look for that in people I hire. Q: After September 11th, The Times was unparalleled in its coverage on what was going on in the world. How difficult was it to suddenly snap your fingers, develop a new section, and have that run seamlessly with the entire organization? JR: The production side of things is very versatile. We have 21 print sites across the country, and they have to turn on a dime. They are constantly on call. As far as the sales and marketing in that particular instance, "The Nation Challenged" was a section that really didn't have many ads. And this is another thing that I think we are extremely proud of. Certainly, the coverage of Katrina that you saw recently was a real commitment monetarily on the part of the company to make sure we told the story. And this company will always do that. Q: Is The New York Times Company planning to enter or serve the US Hispanic market? JR: We have lots of strategic planning activity underway right now with regard to the Hispanic market. We have entered it in a small way in Lakeland, Florida, with a weekly publication called, Vision Latina, that was launched last December. I think there is a wonderful opportunity for the Times Company to enter that market. We just want to make sure we're entering it in the right way, and in the right platform.